Why do you need to analyse your website right away? Owning a website is not easy as it is important to maintain its proliferation. This is why website owners find that it is necessary to do a website analysis. 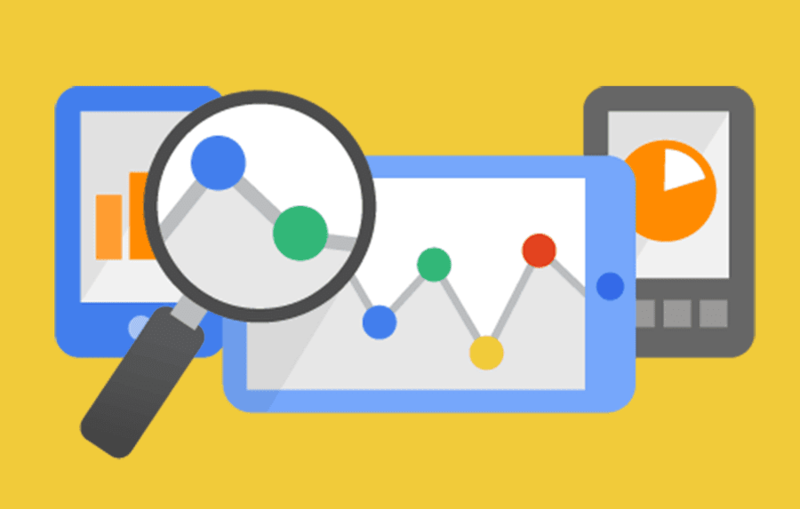 But before digging into the tools, let's start with what exactly web analytics is. First, it measures the traffic, page views, clicks, keywords, designs, navigation and more for your website. Then it checks what you do with that data and applies to make the users’ experience better. And then it checks if you are reaching your business objective or not both online and offline. It is important to do a website analysis because it helps the clients to grow the business. It will be easier to identify which keywords are working and which aren’t. It also helps the clients understand from where the traffic volume is coming as well as displays the quality of this traffic in order to maintain its growth. Why should you Be Concerned with Website’s Speed? Users should have options when it comes to navigating contents on the internet, and a slow website will make your users frustrated. The faster and responsive the website is the more they will be engaged and focused on your content, rather than waiting for scripts and images to load. Another reason is SEO. Google has announced they are using page speed in their ranking algorithm for better results for the users. This means the better the sites perform the higher they will be ranked in the search engine results. Most free analysis tools show which rank the website stands and what keywords are effective to achieve that optimal ranking in the search engines. These are some best website analysis tools out there in the market right now. This is a completely free service that gives you a detailed statistics about the visitors of your website. Google Analytics is the simplest and most robust web analytics offering and surprisingly it is free. Currently it is used by over 50% of the top 10,000 websites in the world, according to the site's usage statistics and you can also find out from which parts of the world the users are coming from also what they're doing while they are on your site and how often they come and many such things. It offers better control options and a minimalistic approach to the real-time data collection, unlike Google Analytics, imports cost of goods and reports on data demographics. Yahoo Analytics is a step-up from Google in terms of profiling, filtering and customisation and it is for people who are looking for more advanced options. Crazy Egg helps you build heat maps of throughout the website based on where and what you are clicking. It can also help you improve the website design and build smarter navigation. When you type your website address into the given field the checker analyses the source code of your website. Then it will give you an overview by highlighting all the aspects of your homepage that are performing well or in need of improvement. The tools and service providers will analyse your website and give you the report on the analysis but you need to understand and work on it accordingly so these things will help you to know things in detail. This is an extremely important website ranking factor. Google wants to deliver the best results as quickly as possible to its users. Your entire website including the homepage should be optimised to load as fast as possible. Your URLs need to be well-structured or they can confuse the visitor of your site. This section of the report checks the keywords used in the URL. Title Tags – A title tag will be the clickable link in the search engine results so it needs to be optimised so that users click on the link. Image Optimisations – The higher the picture sizes the higher it takes to load. You should give headers before your content to help users understand what the page or content is about and sometimes the use of keywords in headings helps search engines understand the page. You can use H1, H2, or H3 tags to properly format your heading. The code of your website may also be a hectic issue for search engines and users if it’s not fully optimised. This part of the analysis concentrates on your HTML code and other markup structure. Mobile Friendliness The number of Google searches on mobile devices officially surpassed the searches on computers in the UK. So now it is highly recommended to make sure that your website is mobile friendly for easier access to the users. Search Engines also puts some extra value on the websites which are mobile friendly and responsive at the same time. Links to your website and within your website can help Search Engines build your rankings higher. This analysis looks at the number of links to and from your website. These links contribute to the authority, which is expressed in higher scores in the analysis report. These discussed things will surely increase traffic to your website if done properly. That's why optimal website presentation is becoming more important than it has even been. Now you know what to do and how to do with the help of the website analysis checkers. Sohel is a professional blogger and SEO expert and writes for latest Technical SEO Analysis and SEO On-Page Testing Tool for Websites Optimization; He focuses on actionable and unique ideas that can be used to grow your business and make a real difference for your customers, you may check him out on LinkedIn.